BioFactor is a unique Whole Food Equivalent Carbohydrate source made from real complex carbohydrates including; Oats, Dehydrated Blueberry, Sweet Potato and Wild Yams. 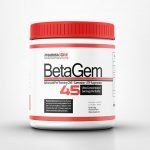 This slow digesting source of carbohydrates makes BioFactor a great product for those who want to add carbohydrates to existing protein powders to create balanced meal replacement drinks. BioFactor can also be used by those who want to increase energy levels naturally without the use of stimulants or High Glycemic Carbohydrates that cause rapid insulin spikes resulting in energy drops and fat storage. 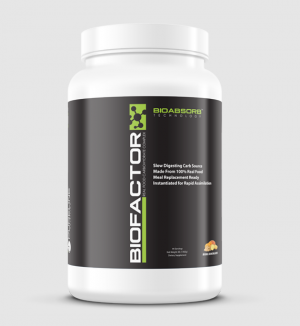 BioFactor has also been infused with Electrolytes to provide the body with essential minerals necessary for recovery and optimal performance. 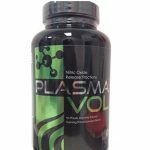 DESIGNED FOR: Any man, woman or young adult who desire added carbohydrates for increasing calorie levels, energy and recovery. 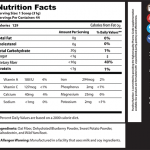 Men and Women Combine the desired amount of BioFactor (1 Scoop = 30g of Carbohydrates) with protein and mix with 8oz. of water, nonfat milk, juice or your favorite beverage. Add more or less liquid to meet your desired taste. Men and Women Combine the desired amount of BioFactor (1 Scoop = 30g of Carbohydrates) with 8oz. of water, nonfat milk, juice or your favorite beverage and drink 1 hour before training. Men and Women Combine the desired amount of BioFactor with 8oz. of water, nonfat milk, juice or your favorite beverage and drink immediately following your training session.